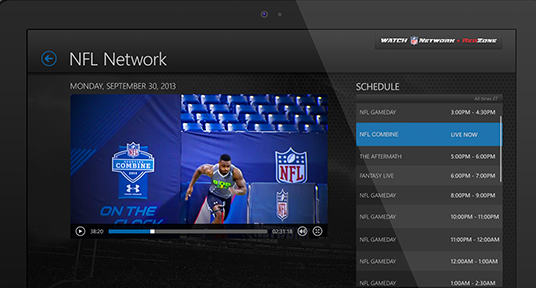 The Watch NFL Network App allows authenticated users to, as the name implies, watch the NFL Network & NFL Red Zone both on your tablet device via apps for iOS, Android, and Windows, as well as via your computer browser and Xbox One. Participating providers have been limited, but this latest update brings with it a slew of additional providers. Most of the new providers appear to be smaller cable TV providers with the largest of all providers, Comcast Xfinity, still missing from the provider list. The update notes do say “More coming soon,” but such vague promises from providers rarely match an ideal timeline for users. For those subscribers of the recently added TV providers, this update comes just in time for the run up to the NFL Draft taking place May 8th through 10th. The draft is NFL’s premiere off-season event and typically draws big ratings for both ESPN and NFL Network. I think the biggest advantage for many fans will be that of the Red Zone Channel. As much as I like the Red Zone, I do think it works best as a complimentary or “second screen” product. This app update will allow millions of additional users to subscribe via their cable company and watch NFL Red Zone on a second screen while watching their local NFL telecast. Keep in mind these apps will work for tablets & iPads, but Verizon holds the exclusive right to phones. If you want to watch NFL Network on your phone.